Posted August 4, 2018 by Diane & filed under Book Recommendations. 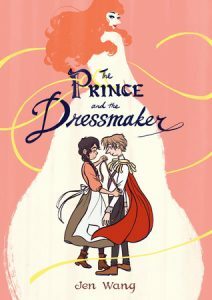 In 2014, Christine Baldacchino and Isabelle Malenfant introduced Morris Micklewhite and the Tangerine Dress to the picture book scene, a story about a boy who liked to wear a dress. Progressive parents and schools snapped this up, and many children learned that a boy who wanted to wear a dress was no big deal, just part of who he was.